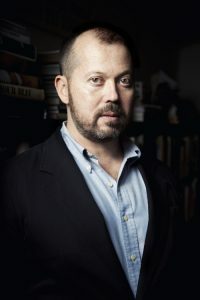 Alexander Chee reads an excerpt from his novel, The Queen of the Night, at the 2016 Bread Loaf Writers’ Conference. Chee is the author of the novels Edinburgh (Houghton Mifflin Harcourt, 2016) and The Queen of the Night (Houghton Mifflin Harcourt, 2016). He is a contributing editor at the New Republic, and an editor at large at VQR. His essays and stories have appeared in the New York Times Book Review, Tin House, Slate, Guernica, NPR, and Out, among others. He is the winner of a 2003 Whiting Award, a 2004 NEA Fellowship in prose, and a 2010 MCCA Fellowship, and residency fellowships from the MacDowell Colony, the VCCA, Civitella Ranieri, and Amtrak. He has taught writing at Wesleyan University, Amherst College, the University of Iowa Writers’ Workshop, Columbia University, Sarah Lawrence College, and the University of Texas–Austin. He is an associate professor of English and Creative Writing at Dartmouth College.